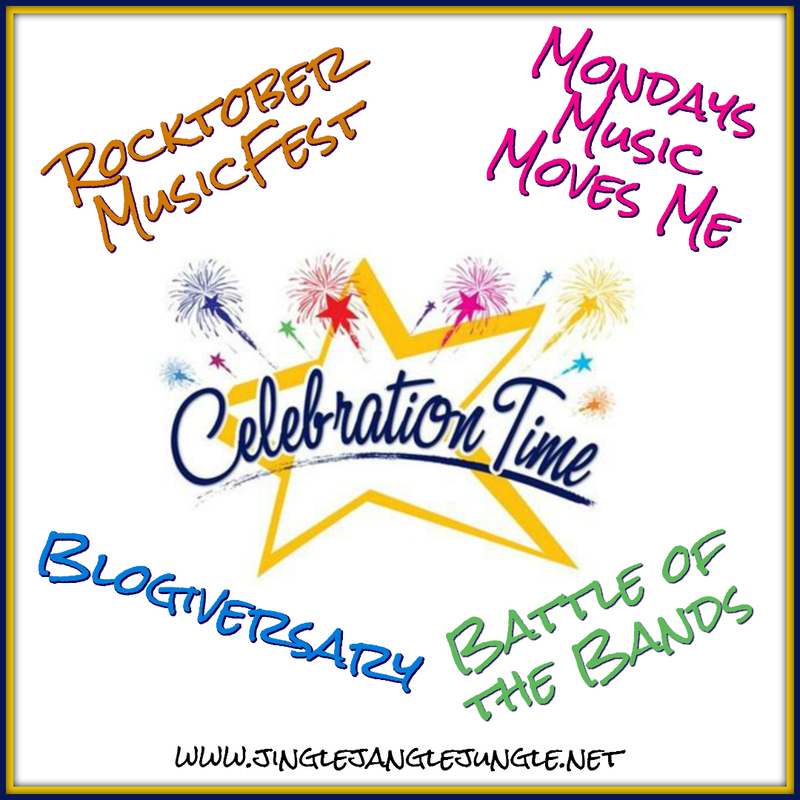 #RocktoberMusicFest, #4M, #BOTB and a Celebration! I have a lot going on today! First, I’m starting with a celebration! It’s my Blogiversary today. This blog is now 4 years old. We need to celebrate the month of Rocktober! Next on the docket for today is Monday’s Music Moves Me (otherwise known as #4M). Today’s theme is ‘Free Choice’. 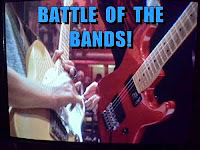 Finally, but certainly not least, we have Battle of the Bands going on today. I’m so glad that I can toss all of this together into one big* (but not too big) post. For today’s battle, I chose The Pretender by Foo Fighters. This song is the first single from their 2007 album Echoes, Silence, Patience & Grace. 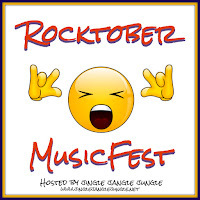 Don't forget to come back tomorrow for day two of the #RocktoberMusicFest! There was a close third contender that I considered - that you might enjoy. they do a lot of covers it looks like. They call themselves Flatirons Community Church. Thank you so much for joining in my MusicFest. It's sure to be a fun month! 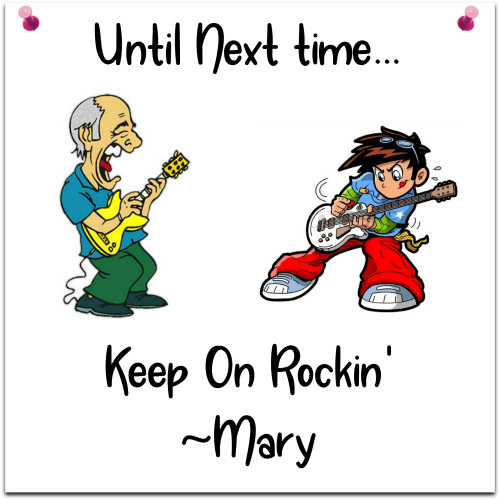 Hey Mary. First of all let me say a hearty CONGRATULATIONS on your 4-year Blogaversary! 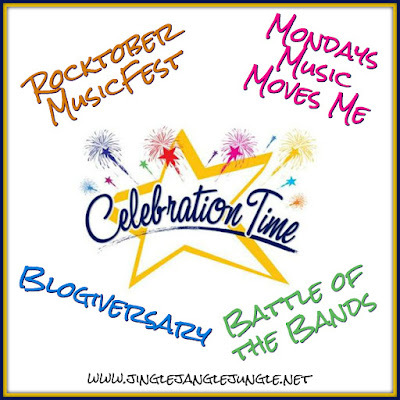 And how fun that it lands on a BOTB and a 4M post AND your new RocktoberMusicFest blog hop! Yippee! You sure know how to be efficient, rolling all three of these hops into one! I'm impressed. Okay, I like the Foo Fighters song. I like their video, looks like they're recording in a hockey rink or something. Anyway, both of your covers did really well with the song but I preferred The Harleys over Cherry Bomb. So please give my vote to those hard-ridin' Harleys! 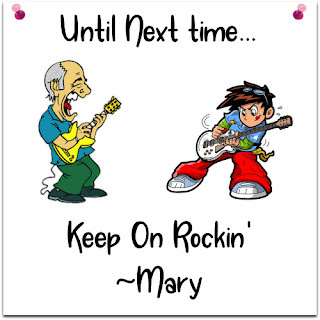 Have a great week...and a fun celebration! PSS: okay, I tried the Linky code and it came through with two lines (the enter your Link line) but I still have to copy and paste all the participant links. Shouldn't it just automatically update with that code?? That is really bizarre. The links should automatically update with the participants. I'll send you some code by email to see if that works better for you. You know I've had a bit of a love affair with Dave Grohl. This is one of those songs that just gets me up and going. I've got your vote counted. Thank you so much for your support! Congrats in your Blogaversary. That is pretty cool. I will choose Cherri Bomb, the song just sounded better. It's interesting to see how different artists approach the same song. I like the Harleys. I always find it interesting as well. Sometimes it's a matter of how females view a song versus a male point of view, and sometimes it takes on an entire bend to the genre. Thanks for stopping by! I appreciate you stopping by with your vote and sharing the #4M dance floor with me. Nice job reaching year 4 of your blog. The song versions sounded very similar in arrangement. I'm giving my vote to Cherri Bomb because I like the blend of their voices better and they are "the Bomb". It hardly feels like 4 years. Time sure has flown by. That seems to happen quite a bit more the older I get. I like what Cherri Bomb did with the song as well. Thanks for your support through all these years. I liked Cherri Bomb a lot better on this. They sounded like they really got into it, and that drummer is fantastic. One for them! Your vote just tightened up the gap between the two contenders. This is going to be a real nail-biter, I think. I have heard of the Foo Fighters before, but I don't think I'd heard this song previously. And I definitely had never heard of either of these groups. That 'Cherri Bomb' singer - is that the sort of girl I can take home to mother? Will she curtsy and say, "Nice to meet you, Mrs. McCarthy"? I'll vote for 'THE HARLEYS', primarily because of the name. I had an uncle named Harley and he was a super-nice guy. I'm sure the lead singer is a lovely young lady. I was just reading up on her and the Cherri Bomb band. I'm sure that her being sweet to yer mother would be the least of your worries. Turns out the band was formed in 2008 when the girls were still in middle school. The lead singer was only 11. (I'm shocked and astounded at the way these young girls dress these days!) Julia Pierce, the lead singer, left the band in 2013. The girls had a falling out. The band says it was over 'creative differences', but Ms Pierce says she was ousted from the band she created. The band quickly changed its name to 'Hey Violet' and according to another source, Ms Pierce has pursued a solo career. Looks like you may have to settle for "Black Leather Jackets"
No matter what you do, that Mojito sounds delish! >>..."Ms Pierce says she was ousted from the band she created." "Creative differences", huh? You know there's a joke in there, but I'm gonna let it go unstated in the hope of boosting my grade under the "Plays Well With Others" category. Guess what! I just discovered that a band called 'Black Leather Jacket' already exists, too. See? It goes to prove that it's impossible to do satire anymore. I was trying to think up ridiculous band names for guys overcompensating for a lack of real Testosterone and I couldn't do it, because those guys have already embraced those names. I think I'll just order a 12th Mojito and pretend I don't really live in "this world". Wish me luck, MMQE. >>...I think I'll just order a 12th Mojito and pretend I don't really live in "this world". Wait. Do you mean to tell me you really do exist? I'm gonna vote for The Harleys...then tell Stephen to go slow on that 12th Mojito, ha ha. They were both relatively new to me as well. Go tell Stephen to slow down long enough for the rest of us to catch up. It's gonna be a CRAZY month for me. So..I did actually listen to both but I don't like either-big surprise:) I will give it to the Harley's because i felt they were more professional in their sound but I hate the ending. Thanks for stopping in with your two cents. I never heard of either group, although I have listened (many times) to the Foo Fighters original. So, I am going to vote using passion as my decider, as both didn't seem to make many changes to the song to make it "their own". My vote is for - Cherri Bomb. You are right, they are both fairly close to the original. I think it all boils down to whether you prefer to hear the song from a female voice or male voice. After reading up (and researching) on whether Mr McCarthy could take the lead singer of Cherri Bomb home to his momma, I was really a bit surprised at how young these girls were. For their age, they do a remarkable job. Oh, wow, I want in on this Rocktober MusicFest! Is there ever a theme, or we just post a rock song we're listening to or want to share? I can make either work. I really liked both covers, but I was more impressed with Cherri Bomb's version. You want in? Sure thing! I know exactly what you mean about wanting the original to win, with Dave being my faux husband and all. Sometimes I get a bit jaded and think there is no comparison when it comes to any of their music. Glad to see you around. It's going to be a super close one. And I don't mind because that's the sign of a good battle. Just in the nick of time for your vote. Results posted tomorrow. Turning off comments now. 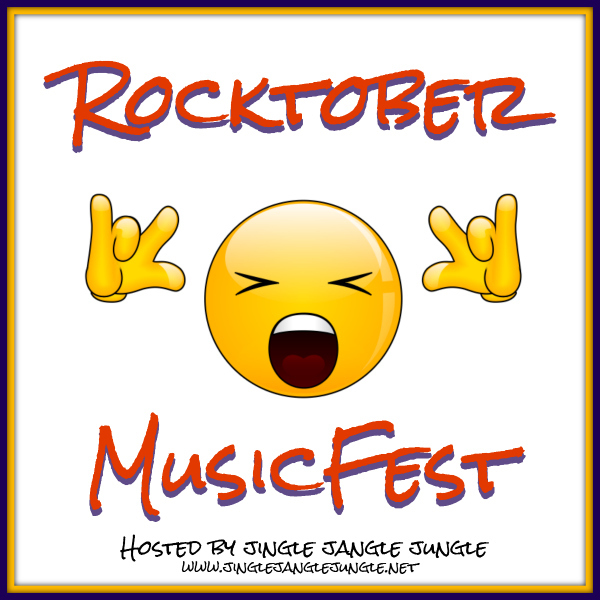 Be sure to check out #4M #RocktoberMusicFest Hand Claps and Finger Snaps post (out 10/8/18) for final results of the battle.